Oil Field Experience : 13 yrs. Rig Electrician :Land Rig - 3 yrs. Electrical Technician : Offshore Production platform – 2 yrs. Rig Electrician :Offshore Jack up Rig – 2 yrs. Electrician :Offshore Jack up Rig – 6 yrs. Three years course with applied Electronics from the Board of Technical Education in 1993, Karnataka State, India. Courses Done : H2S and use of BA sets, HUET, Sea Survival fire fighting, first aid and CPR, Slinger and rigger basics, FRC Coxswain. : Has got knowledge of computer operation. Having the knowledge of safety procedures, response during emergencies like fire, H2S, abandon drills, job safety analysis, permit to work system, electrical isolation, toolbox meetings, environmental protection (HSE). Since July 2008 to Feb. 2011 worked for ADWOC (Arabian Drilling and Work Over Company) as Rig Electrician in a land rig in Libya. · Performing daily inspections and maintenance on Electrical equipment. · Comply with permit to work and isolation system. · Carry out periodic maintenance according to the Preventive maintenances System guidelines. · Keeping register of daily works done and maintaining cardex also maintaining all paper works. · Maintenance and repair of all power generation and distribution equipment, i.e. Baylor Generators and Caterpillar engine controls, NOV-Ross Hill SCRs, switchgears, transformers etc. · Maintenance and repair of general rig equipment such as air-condition, refrigeration, communication and lighting system. · Carry out maintenance and repair on electrical components of drilling equipment, like driller’s control, AC drilling motors with Siemens VFD drive and its auxiliaries, Top drive system TDS 11SA, Draw works 1500 bhp, mud pumps, NOV KEMS (Kinetic Energy Monitoring System), NOV-MD Totco Rig Sense, Shaffer BOP system including terminating fiber optic cable, closed circuit TV system. · Conducting rig down and rig up operations. · Power Generation, synchronizing & Distribution, monitoring over all Electrical Function in the Rig. · Managing an adequate supply of spares in order to fulfill maintenance requirements. Since May 2006 to April 2008 worked for Aquatic Engineering Co., as Electrical Technician on Maersk Oil Production Platform in Qatar. Periodical, preventive and corrective maintenance of lighting and power system, HVAC system, refrigeration system, emergency generator, Hypochlorite unit, 3.3 kV sea water pumps, 11 kV crude oil export pumps, gas compressor turbines etc. · Operating HV motors and their switchgears. · Having the knowledge of instrumentation, well head operations, gas compression modules, PLC’s. · Can read and follow-up piping and instrument drawings. 2 years at Gulf Drilling International, Qatar on an Offshore Drilling Jack up Rig as a Rig Electrician from Jul. 2004 to May 2006.
an Electrician from Oct 1997 to June 2004. · Recording information of electrical and running system. · Performing routine and preventive maintenances. · Repair and service of electrical equipment like AC motors of centrifugal pumps, compressors, sea water pumps, anchor winches ……etc., and their control circuits. · Trouble shooting of all electrical equipments, power and lighting panels. · Preventive and break down maintenance of D.C. and A.C. Motors. · Maintaining, trouble shooting and repairing of drilling instruments, Martin Decker instruments. · Checking and repairing of air conditioners. · Telephone, public and dock announce system maintaining and repairing. · Maintenance and routine testing of H2S, CH4, fire sensors and emergency batteries. · Maintaining generators, power generation synchronizing and distribution, blackout restoring. · Maintaining and repairing of electrical deck crane and overhead crane electrical motors and control system. · Jacking motors torque check and equalizing, D.C. Brake operation checking and maintenance. · Worked on Mitsubishi SCR System and D.C. Motor controls. Five Months at Lahoud Engineering Company, Qatar in Water desalination plant erection project as a general maintenance Electrician. · Operation, trouble shooting and maintenance of diesel generator sets. · Maintenance of welding machines and its accessories. · Maintaining overall electrical safety at working site. Four months at Lahoud Engineering Company, Dubai, in a glass factory erection project as an Electrician. · Installation of power panels, industrial wiring and terminators as per drawings, motor connections, motor winding and cable insulation test, motors winding resistance test ………etc. One year five months at M/s. Benn Electricals, Mumbai as a Technician. · Testing of D.C. Motors and D.C. Generators. · Periodical maintenance and trouble shooting of the above. · Testing and trouble shooting of auto synchronous motors and slip ring motors. Two years of M/s. G.K. Electrical Pvt. Ltd., Mumbai as a Technician. · Installation, testing and commissioning and also periodical maintenance of diesel generator sets from 3.5 kVA to 1000 kVA. · Trouble shooting and repairing of standard and auto on mains failure, generator control panels with safety protections. · Minor trouble shooting and servicing of diesel engines. - DIPLOMA of Industrial School. - Fire Fighting and fire prevntion. (a) Liaising with the Driller, Assistant Driller and Derrickman on their work and equipment requirements. (b) Preparation and implementation of work scope as defined by supervision. (c) Assist other Floormen in tripping pipe, preparation of assemblies and general rig maintenance. (d) Assist the Derrickman in performing his duties in mud pit areas and deputise as required for meal breaks etc. (e) Monitor shaker operations and ensure efficient use of screens. Deputise on shakers at meal breaks as required. (f) Act as relief to Derrickman when tripping. (g) Check equipment on the rig floor is maintained to a safe standard and assist in pre-use checks. (h) Drive fork trucks as required for cargo and chemical handling. (i) Perform maintenance of drilling equipment as required by supervision. (j) Monitor floormen in the performance of their duties, acting as coach and mentor to less experienced individuals. (k) Assist with the planning process on all activities. (l) Supervise Roustabouts and ensure that they perform their duties in a safe efficient and methodical way (certain installations). (m) Plan work for Roustabouts, delegate responsibility and monitor task implementation (certain installations). (n) Actively lead TRIC's and ensure all people understand what they are to do before allowing tasks to proceed (certain installations). (o) Carry out rig inspections as required by SMS and supervision. (p) Reporting of deficiencies and safety concerns to supervisor. (q) Complete any other tasks as delegated by supervision. ( Pride North America ) Semisub . Floor man from 2 / 2009 / till now . · Perform tripping operations (drill strings, BHA, casings, liners, completions) making use of rig floor handling equipment as appropriate. · Assist with routine maintenance on the rig equipment. · Maintain all tools in a clean and safe condition and ensure the return of equipment to its correct place (slips, elevators, safety clamps, rotary tongs). · Maintain the rig floor, sub-structure and associated areas in a clean and tidy condition. · Assist and relieve the Derrickman, as required, inclusive of mixing fluids. · Assist in picking up and laying down tubulars and equipment. · Assist in rigging up equipment for the specialist service companies. · Under the supervision of the Driller, maintenance of derrick equipment. · Attend, and conduct as necessary all TRIC talks relevant to operations. · Assist in the installation and movement of BOP and other wellhead equipment. · Carry out shaker house duties in accordance with work programme to include changing out of shaker screens as directed by Mud Engineers, Assistant Driller, Derrickman. · Monitor the fluid returns at the shakers and report changes in size, shape and volume of cuttings to the Driller. 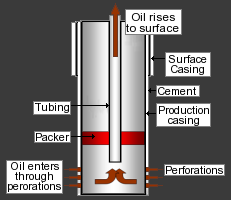 · Take fluid weight and viscosity checks logging them and reporting any anomalies to the Driller. · Maintain the shaker deck log book accurately and up to date, and use as the basis for handing over to the relief. · Stand-in for alternative work discipline as required. · Complete any other reasonable tasks as delegated by Line Supervisor. · The handover of ongoing tasks to back-to-back Floorman. · Assist in area inspections as required. · Assure that upon completion of an assignment or at the end of a work period, that all equipment and tools are properly stored. Resume for the position of Logistics- co-ordinator or Barge Administrator, Radio Officer. Experience working with major drilling/Offshore Barge Operators companies viz Premium Drilling, Gulf Drilling Intl, Japan Drilling Company(JDC), Momentum Engineering UAE in the capacity of Logistics, Personnel Coordinator , Barge Administrator & Radio Optr in various parts of world ( East Cost of India, Iran, Jordan, Qatar, UAE, Malaysia & Indonesia). Well certified and trained with STCW - 95 courses, Advanced Fire Fighting, HUET, Helicopter Landing Officer, GMDSS, & BOSIET Opito Approved. · Main point of contact for all office based operations ensuring its smooth running. · Handle commercial communication, administration, office management, personnel management, and recruitment and training requirements related duties in the organisation. · Manage office and liaise with customers and with internal departments. · Manage all the administrative management duties efficiently including correspondence, office communication and handling complete office and personnel matters. · Ensure over all smooth functioning of office in terms of handling day-to-day operations, reconciliation of bills, dealing with vendors, manage contracts-agreements and accounting. · Oversee and coordinate office administrative procedures and review, evaluate and implement new procedures. Establish work priorities, delegate to office staff and ensure deadlines are met and procedures are followed. Direct the performance of the staff. · Coordinate and plan for office services such as equipment, supplies, forms, disposal of assets and maintenance. Assemble data and prepare periodic reports and correspondence. In charge for procuring office supplies including stationery and kitchen goods. Organise general office routine functions for the smooth running of the department and co-ordinates the appropriate task groups. Organize personnel to various offshore units and arrange / planning their mobilizations and travel co-ordinations. Offshore/Radio Communication - Operation and Maintenance of onboard GMDSS communications systems, helicopter, logistics, preparation of personnel on board lists, lifeboat and emergency muster lists, T-Card, record of OSV movements etc. Liaise with all departments on the Rig/Vessel, organizing and scheduling crew changes with the onshore Logistic Coordinator and HR Department and providing the Medic, OIM/Master and OPM and Clients with schedules on a daily basis. To make DPR and send as per Client and Owners requirement, Allocation of Rooms to Rig/Vessel and Project Crew, To Liaise with HR and Operations Administrator onshore in the supply of personnel certification and travel requirements. To pass relevant travel, accommodation and course details to offshore crews, Record and distribute the Minutes of the Morning, Supervisors, teleconference and weekly Management meetings, Record and distribute the attendance and Minutes of Meeting for all Safety Meetings held onboard. PORT CONTROL - In Charge of Port Control Radio Station. Communication and Coordination with Marine Pilots, Ship’s Master’s, Tugs and other Units during Vessel’s Arrival and Departure. Taking stock of all Moments of Cargo Loading and Discharging taking place in Port and at Anchorage and passing the information to Higher Port Officials. Record keeping of all events during Ship’s arrival, Cargo Operations, siftings and departures. Informing Ship’s Masters regarding Local Harbour Rules. Assisting Pilots in their administrative works. 1) January 2011 to till date: As Barge Administrator with Momentum Engineering, UAE on their Drill Support barge in MALAYSIA (PETRONAS Operations). 3). 20th Feb 2008 to 20th May 2009 : Worked as Radio Officer with Premium Drilling Inc, on Jack up Rig Deep Driller-1 in East Coast of India. 4). 14th Aug 2007 to 27th Dec 2007: Worked as Logistics Co-ordinator with Gulf Drilling International Co., Jack-up Rig in Qatar (For RASGAS Operations). 6) 12th July 2004 to 18th Aug 2006: Worked as Personnel/Logistics Co-ordinator with Mustafa and Kamala Ashram Trading, in Jordan. 7) 14th Dec 2002 to 30th Mar 2004: Worked as Radio Officer with Ennore Port Ltd., in Chennai-India. Ø More than six years dedicated service in the Canadian Armed Forces. Ø Bilingual French & English. Ø Multi disciplinary training in the artillery. Ø Proven ability to perform under extreme pressure in volatile situations. Ø Committed to professional development. Ø Work well in adverse conditions such as extreme weather, fatigue, pressure; disciplined to respond to emergency and critical situations on short notice. Ø Accustomed to hard physical labour, long hours and working safely. Ø Experienced with strapping machine and remote crane. Ø Comfortable working outdoors in any weather for long periods of time. Platts, like its parent, The McGraw-Hill Companies, believes in corporate responsibility and considers it a top priority. Platts’ commitment to social responsibility is evidenced by its professional activities as well the contributions it makes to the many communities where it conducts business. Platts’ product offerings increasingly meet the need for information and services in a world where resources are constrained and environmental and human sustainability is of concern to civil society. For example, Platts’ data and information offerings now include the emerging carbon emissions, bio- and renewable fuels, and liquefied natural gas markets. In addition, Platts implements a variety of recycling programs to help reduce its environmental footprint and waste stream. Across the globe, Platts seeks opportunities to assist non-profit organizations and support its employees’ commitment to giving back to their communities. Its fundraising and volunteer activities largely focus on helping under-privileged children, disaster-relief efforts, and disadvantaged families with health and literacy challenges. WellChild Benefit –- Since 2003, Platts has been the title sponsor of the annual Energy Dinner in London in support of the UK’s national WellChild charity, which aids children with illness and their families. This annual event is attended by 500 energy traders, brokers, lawyers and bankers, and raised more than £170,000 in 2009. Futsal Challenge –- In 2004, Platts organized its first Futsal Challenge, a fundraising event in Singapore to aid underprivileged children in Tsunami-devastated Southeast Asia. In the four years since Platts volunteers began organizing and promoting this event, it has attracted an increasing number of participants from the energy community and raised more than US$78,000. 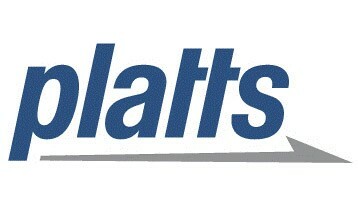 Denim Day – Since 2007, Platts has sponsored an annual “Denim Day” in Houston to raise funds to fight breast cancer. Employees pay for the privilege of wearing blue jeans to work with the funds they’ve pledged donated to a local breast cancer programs. Run for the Cure – Fighting breast cancer is also a high priority for Platts’ staff in London. This team of “Platts Pink Panthers” ran five kilometers and miles raised ?800 (US$ 1,200) for Cancer Research UK in 2008. From New York to Washington, D.C. and other cities worldwide. Platts employees lend their time and energy to help local non-profit organizations advance their missions. The efforts undertaken by Platts team in Houston exemplify the spirit of community volunteerism that is common to all offices. Helping the needy has been a major thrust for Platts volunteer efforts in Houston. Since 2005, employees have been active in the collection of non-perishable food items for donation to the Houston Food Bank, and since 2007, they have delivered several hundred pounds of non-perishable items to the Star of Hope Mission, a downtown Houston homeless shelter.They have also partnered since 2007 with the local chapter of the Blue Star Moms in supply drives to support the families of members of the U.S. armed forces. Through these efforts, Platts helped fill more than 70 boxes of supplies to send overseas. The Platts team in Houston has also been committed to improving literacy. Since 2005, as part of McGraw-Hill’s Global Volunteer Day, employees have served as tutors at the Houston READ Commission, a local adult literacy organization which has also benefited from $6,000 in grant monies from McGraw-Hill.